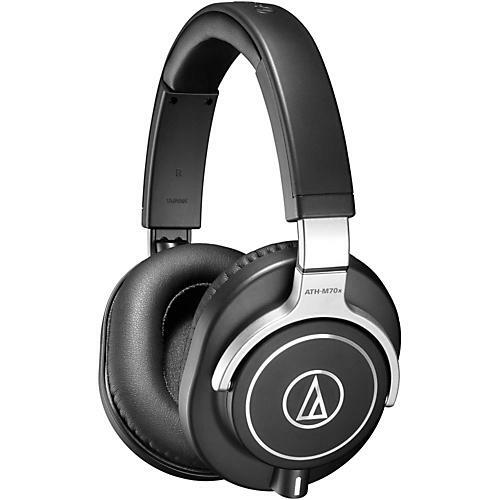 The latest addition to the critically acclaimed M-Series line, the ATH-M70x professional studio monitor headphones feature proprietary 45 mm large-aperture drivers and are tuned to accurately reproduce extreme low and high frequencies (5 to 40,000 Hz) while maintaining perfect balance. They are ideal for studio mixing and tracking, FOH, DJing, mastering, post-production, audio forensics and personal listening. Crafted for lasting durability, the studio headphones provide excellent sound isolation and are equipped with 90 swiveling earcups for easy, one-ear monitoring.